The first six months of the year were torrid for auto sales, with 8.5 million vehicles delivered, making it the strongest first half since 2005. Even if things take a breather, which online search and shopping site Kelley Blue Book predicts might happen in the second half, it will be the biggest year for cars in over a decade. As we wind up July, KBB.com predicts a 2.6% year-over-year increase for the month, to a total of 1.47 million units. Extrapolated to the entire year, with seasonal dips and spikes (or the “seasonally adjusted annual rate,” or SAAR, in car talk) taken into account it will be a 17.1 million year. That's up from 16.4 million in July last year, and even with last month. Other good news for automakers: KBB also predicts retail sales will be 87.1% of volume, versus 85.9% last July. J.D. Power, knocking the fleet-sale component out of the equation, says the retail-only SAAR for the month is 14 million units. And yes, the highest level for the month since 2005, and 500,000 units higher than the month last year. The firm points out that in July 2005 the SAAR was 16.7 million, but that was driven by a rash of “employee pricing for everyone” promotions where companies were offering consumers the same sticker price they give their workforce. Dave Winslow, VP of digital strategy at automotive on-demand dealership software company Dealertrack Technologies, tells Marketing Daily that consumers are also doing a lot more digital and mobile shopping now, and that by itself is driving volume thanks to the comfort factor: more digital, pre-dealership paperwork means less sitting for hours in someone’s office. While more pre-dealership activity is happening not only online, but on mobile devices, dealership staff are getting better at taking the baton from digitally driven leads, he says -- adding that sales staff are more often using iPads and tablets to work up registration and titling. In June, per Dealertrack, there was a 20% increase in vehicle pages viewed on dealer sites; and a 47% increase year-over-year increase in customers coming from mobile engagement with dealers, and an 18% increase in electronic contracting. More good news is that according to John Humphrey, SVP of the global automotive practice at J.D. Power, per-vehicle revenue is up, with the average new-vehicle retail transaction price so far in July at $29,673, “On pace to achieve a new record for the month,” he said, in a statement. The prior record was last year when transaction prices for July were $29,428, per J.D. Power's dealership data bank, the Power Information Network. Fiat Chrysler Automobiles is the poster child for compact SUV success. Alec Gutierrez, senior analyst for Kelley Blue Book, said FCA, set to hit its 64 consecutive month of sales growth (4.4%), is benefiting from Jeep's compact crossovers. 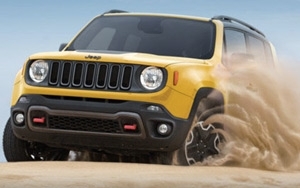 “Jeep has set monthly records for the past 20 months, and Jeep has grown nearly 40% of Fiat Chrysler's U.S. sales numbers," he said, adding that the brand is enjoying sales from the popularity of the Cherokee and better availability of the new Renegade. Same drill at Nissan North America, which KBB sees gaining share this month thanks to crossovers like the Rogue compact CUV and redesigned Murano. The latter, a mid-size SUV, is in a category enjoying a 10% increase in sales volume.